Need a golf cart for the National Barrel Horse Association at OHP 2019 event? 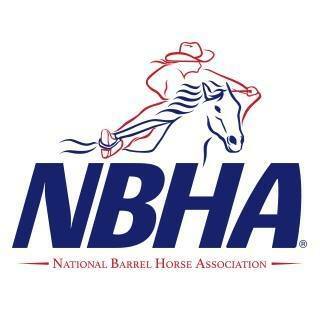 #1 in Barrel Racing – The National Barrel Horse Association, headquartered in Augusta, Georgia, is the largest barrel racing organization in the world. Reservation is for full event rental period only. June 11 – 16, 2019. On-site distribution will take place on June 11 and 12, 2019. Late pickups will be self-service. Customers will be provided lock numbers 24 hours in advance of the event. *Late pickups require waiver on file to complete order. Call to reserve after June 13th. Onsite rental distribution will fall on June 11th and 12th only. Full event rental only. Customers with a late pickup will be provided their cart number and code within 24 hours of the event. Please have driver’s license and Sales Order number available when picking up a car. Individuals must be licensed and at least 18 years old to pick up cart. *If you do not receive your confirmation email containing Sales Order number within 24 hours of purchase. Please submit your request here: support@nationalcarts.com. Rain or Shine. No refunds will be issued once reservation is placed. Carts must be returned by the closing time listed above of last day of reservation period to avoid a late charge. National Carts reserves the right to charge for cars that are not returned to Golf Cart Compound after the rental term is concluded. Locks are STRONGLY encouraged to avoid theft. All cars are similar in style and age. Keys are interchangeable. National Carts will have bicycle locks available for a $25.00 rental fee. Lock codes must not be changed after issue. National Carts reserves the right to charge for lock replacement if the lock is not able to be opened after the car is returned. No additional cars will be issued due to a lost or stolen car. National Carts reserves the right to charge for any and all damages.